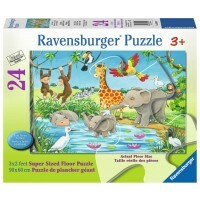 Ravensburger has transformed a magnificent exotic safari scene into a super sized Jungle Juniors baby animals jigsaw puzzle for your child to enjoy. 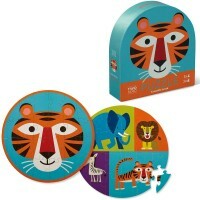 Get ready to bring a thrilling African Safari and adorable baby animals into your own home! 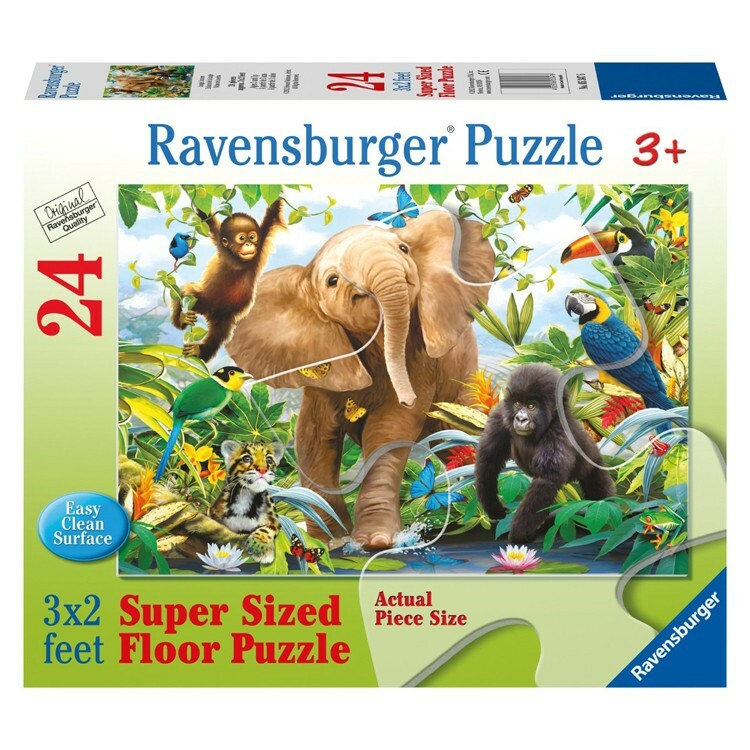 The famous German toy company Ravensburger has transformed a magnificent exotic scene into a super sized Jungle Juniors 24 pc Floor Puzzle for your child to enjoy. 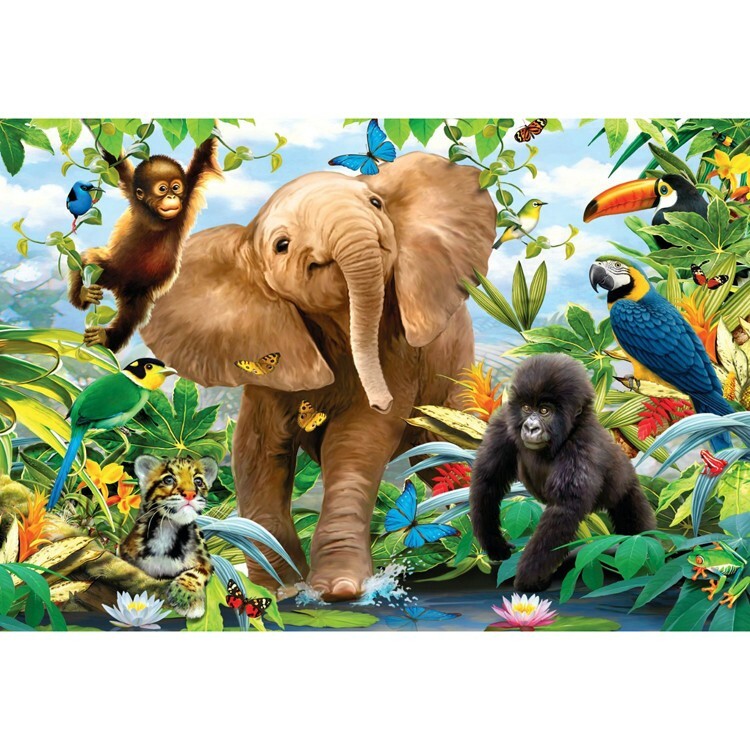 All children will love identifying the baby animals: elephant, gorilla, chimpanzee, leopard, jungle birds, and other wild creatures. 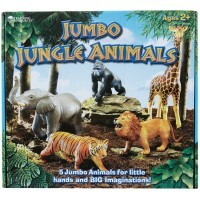 Piece together this jigsaw puzzle and watch the many animals join together in their journey in the jungle. 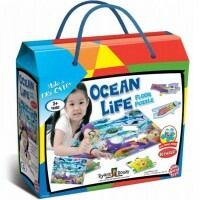 Each sturdy, easy to clean surface, cardboard piece is 9 x 7 inches, a perfect size for even the smallest hands to hold. 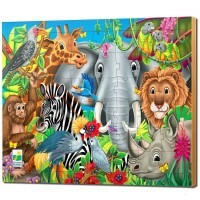 Finished Jungle Juniors 24 pc Floor Puzzle is 2 x 3 feet. 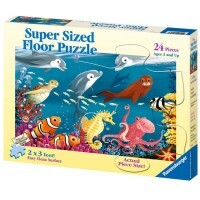 Write your own review of Jungle Juniors 24 pc Floor Puzzle. 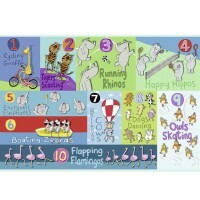 Rating: 5 by Linda, QC This was a gift for my eleven-year-old grandaughter. I had given her a couple of these kits for Christmas, which were a huge hit, so when her birthday came along, she went on the website and took notes on which ones (these 4)she wanted and then gave me the information. I expect to receive a good-smelling gift from her any day now. 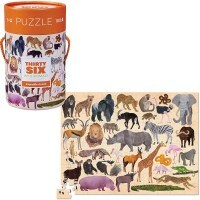 Rating: 5 Comfortable to handle by Childandme.com This puzzle contains pieces that are rather large and comfortable to handle; colors are bright and pictures of the animals look good. 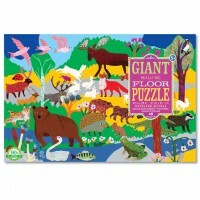 Rating: 5 by Jodi, PA Great quality -- puzzle is large and lots of fun! Rating: 5 by Gail, WA I got this for my granddaughter, and she is excited to experiment and make different scents. Rating: 5 by Danielle, NJ Amazing fun! My girls love it.